The Bearded One and God's Favorite DJ discuss the death of streetball, Concepts x ASICS, the Air Flight Huarache, Spizike, Capsule x New Balance and 'Powder Blue' Ewings. 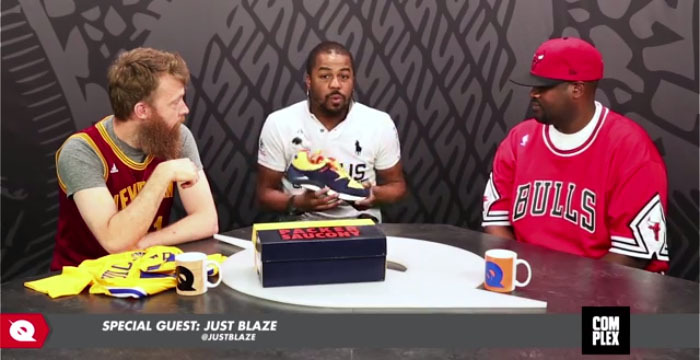 Dishing on today's Packer Shoes x Saucony Grid 9000 'Snow Beach' release, Just Blaze joined Russ Bengtson and DJ Clark Kent for the latest episode of Complex TV's Quickstrike. Additionally, the Bearded One and God's Favorite DJ discuss the death of streetball, Concepts x ASICS, the Air Flight Huarache, Spizike, Capsule x New Balance and 'Powder Blue' Ewings. Watch the full episode below.